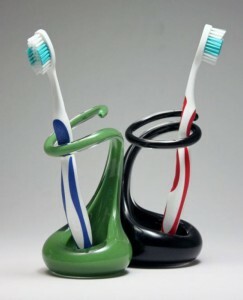 The “toothbrush” has been used for thousands of years. “Chew sticks,” bone, wood, and ivory were all used as a means to keep the teeth clean in the past. 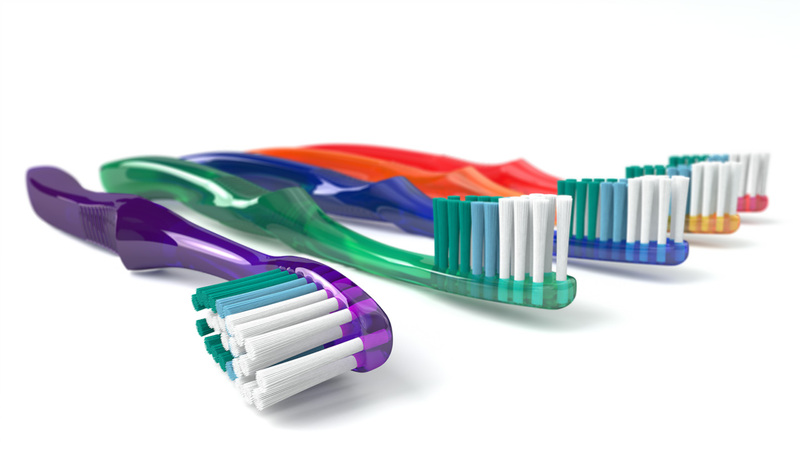 The bristled toothbrush that we use now was invented in 1938. 1) Replace your toothbrush every 3-4 months. 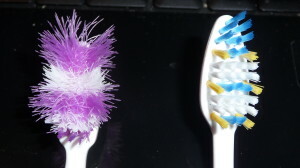 Children’s toothbrushes often need to be changed more often. 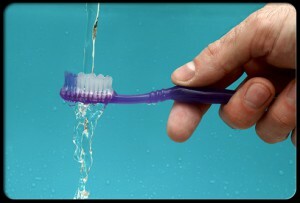 If the bristles are splayed earlier than 3-4 months the toothbrush should be changed as it won’t clean as effectively. 2) Rinse your toothbrush thoroughly after brushing. 3) Store your toothbrush upright to allow for faster drying preventing bacteria to build up. 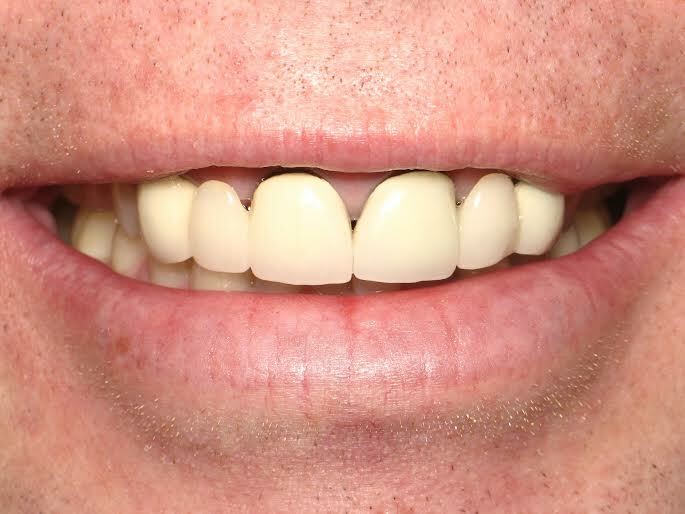 This patient received two new bridges on his front teeth. The bridges he had were fitting poorly with open margins that were starting to decay. 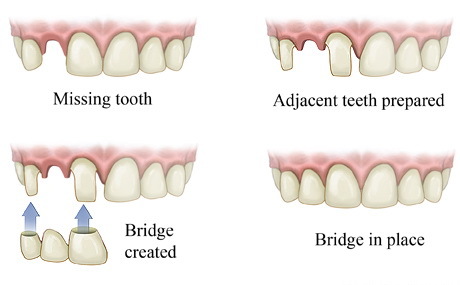 The incisal edges of the previous bridges did not line up well, the shade was too bright for the patient and the teeth just didn’t look very life-like. In two appointments we were able to provide a great service to this patient by creating a much healthier smile that was also more esthetically pleasing! 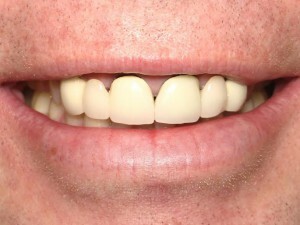 Gum disease is a very common problem we see in patients. 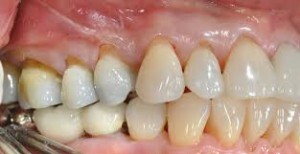 Some patients have mild gingivitis that can be corrected with proper brushing and flossing. Others experience more complicated problems such as gum recession and bone loss. 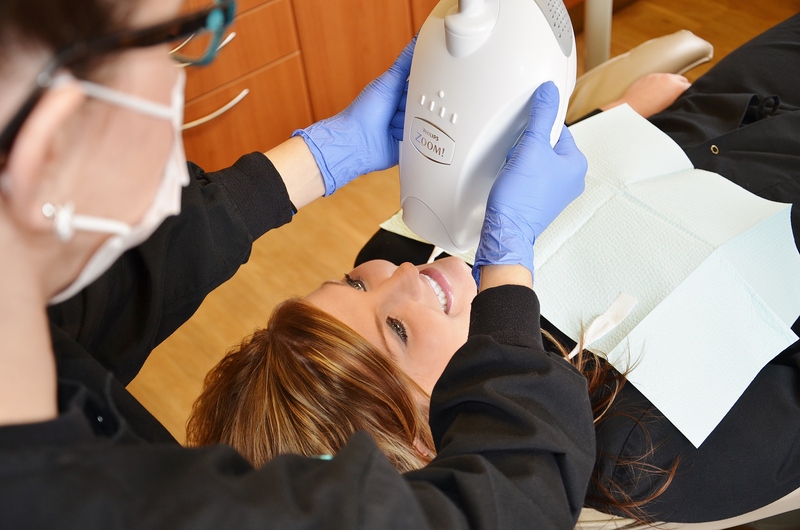 It is very common with gum recession to experience mild to severe tooth sensitivity. 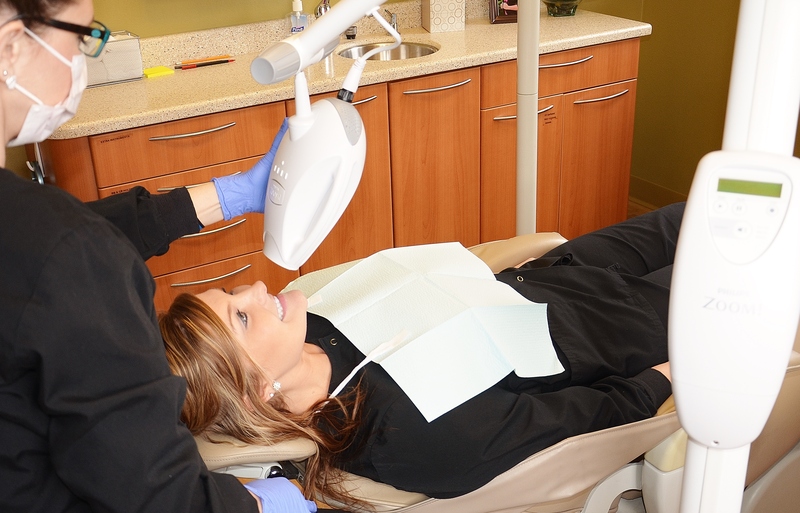 Most patients are not aware that they have gum recession. If you are experiencing sensitivity on your teeth its very important to schedule an appointment to get your teeth and gums evaluated. 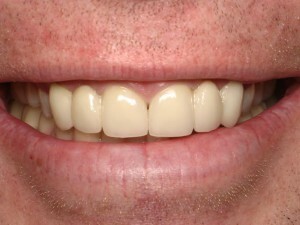 Persona Dental 320-251-2972.